It's time to get in the best improv shape of your life! Spend a week intensely focused on building real improv skills. Become a more observant, reactive and unpredictable improvisor. Learn how to better engage your scene partner to build unique points of view together. And learn to build dynamic, compelling and funny scenes by focusing on behavior first and turning that behavior into a playable game. 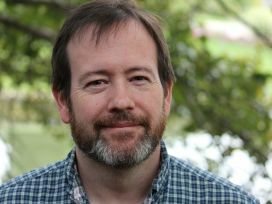 Since 2014, Kevin Mullaney has been teaching Improv Boot Camps in Chicago, New York City and Washington DC. Each time he refines the program, picking the exercises which get the best results and finding the most productive order to put them in. 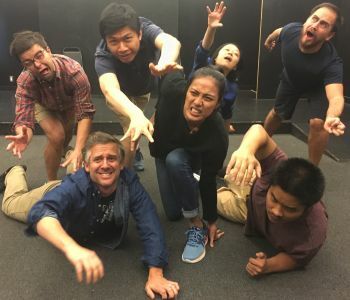 No matter what your improv background, the improv muscles you build in Improv Boot Camp will make you a better performer right away and give you plenty of specific skills to keep working on long after the workshop is over. What makes Improv Boot Camp different? 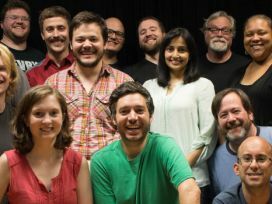 Improv Boot Camps have smaller class sizes than your typical improv intensive, usually 12 or 14 classes maximum. Students get lots of practice. You will be able to try most exercises multiple times and skills are worked multiple times through different exercises over the 5 day workshop. The point is not to rush you through an 8 week curriculum in 5 days, but to pick some vital improv tools and work them until they become second nature. When is the next Improv Boot Camp? Check back soon for news about upcoming Boot Camps in DC and upcoming dates and for next year's Improv Boot Camps in Chicago and New York.